Facilities that provide care to people who are unable to manage independently in the community may be defined as long-term care facilities (LTCFs). The care provided may be long-term care or short term care for rehabilitation. 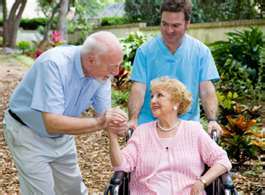 Nursing homes, rehabilitation hospitals, adult day care facilities, group homes, and assisted living settings all provide this type of care. The person assigned to direct Infection Prevention and Control in LTCFs has the challenge of preventing transmission of infections in a setting where residents are encourage to be ambulatory and actively participate in group activities.